Home › Learn › Articles › How can we turn climate information into action? As the world's climate changes and scientific understanding of the problem improves, how do we use new knowledge to help farmers prepare? Climate information services are a powerful tool that live up to their promise of adaptation in agriculture by helping farmers both protect against drought and take advantage of good climate conditions. Experience in climate services is already out there—the governments of India and Mali have been delivering weather and climate advisory services to their farmers for several decades. To learn from these experiences, the CGIAR Research Program on Climate Change, Agriculture and Food Security (CCAFS) surveyed these national programs and other innovative climate services initiatives across Africa and Asia. A new CCAFS report details the findings. The lessons learnt from these on-the-ground experiences show that it is today “Mission Possible” to scale up climate services for millions of farmers across the developing world to strengthen their resilience to climate risk and support their adaptation efforts. Why climate services? Our video tells you what you need to know. Based on these lessons, CCAFS envisions five key steps towards sustainable national frameworks for climate services. Together, these five guidelines map out an integrated approach for co-designing, co-producing, communicating and evaluating climate services that work for smallholder farmers. In a changing climate, with the greatest impacts anticipated in areas of Africa, Asia and the developing world, equipping the most vulnerable communities with climate information and advisory services to anticipate climate-related shocks and changes is a promising strategy for safeguarding food security. To create climate information services that are relevant to farmers on a broad scale, climate forecasters need to join forces with agricultural scientists, extension services, rural development agencies, farmers, NGOs, the media and the private sector. Mali’s national agrometeorological advisory program used a multi-disciplinary working group model to address this challenge, which provided an institutional framework for different sources of expertise to put their heads together, and created a two-way information flow between providers of climate services and users. This model was replicated on the local level in Kaffrine, Senegal, with agricultural extension collaborating with the national meteorological services, the Red Cross and farmers’ organizations to bring climate forecasts to farmers. In Tanzania, the poject, Global Framework for Climate Services (GFCS), is enabling a national dialogue among farmers, climate forecasters, national policy makers, and NGOs, towards building a sustainable national framework to support climate services. From the outset of a project, farmers’ needs must be understood in terms of their specific service requirements, capturing the information types, delivery channels and lead time needed before, during and after the season. Institutional arrangements that open spaces for dialogue between farmers and scientists work to ensure farmer representation throughout the production and delivery of climate services. Integrating traditional forecasting methods with scientific forecasting can also provide insights into current knowledge gaps at the local level, and increase farmers’ trust in scientific forecasting. 3. Innovative communications channels to reach "the last mile"
Information and Communication Technology-based communication works particularly well for communicating shorter-range early warnings and advisories to farmers at a large scale. 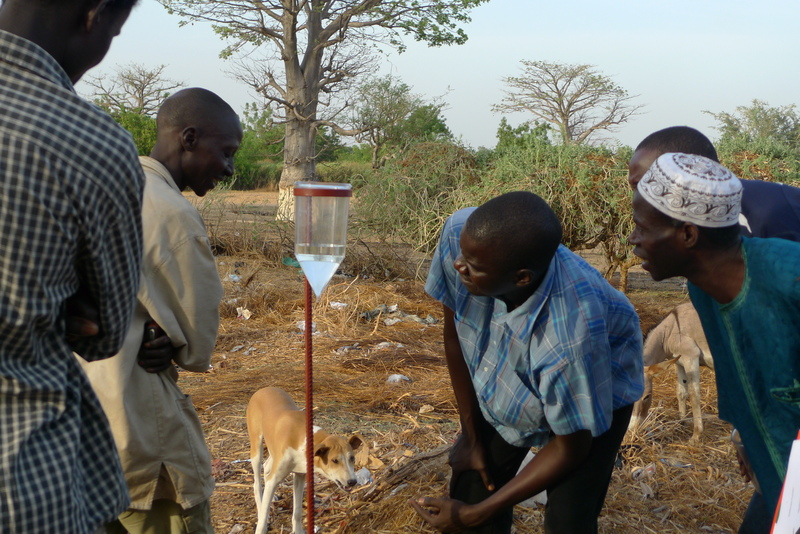 In Senegal, partnerships with community radio have expanded the reach of weather and climate forecasts from the initial pilot project of several hundred to almost 2 million users. For communicating seasonal forecast probabilities, face-to-face interaction remains a superior medium for service delivery through training, communication and workshops with farmers, offering an effective way for tailoring information to farmer needs, training to understanding the complexities of information, and planning around historic variability and seasonal prediction. The vulnerability of smallholder farmers to climate risk is a major motivation for much of the recent interest and investment in climate services. In the cases we reviewed, the most vulnerable tended to be resource-poor, female and lower caste farmers, invisible to many outsiders. Yet the challenges that lead some segments of rural populations to be more vulnerable also tend to make it more difficult to benefit from institutional services, including climate services. In order to build the resilience of farmers equitably, it is important to proactively target women and other marginalized farmers as full partners throughout climate services programs, ensure that their needs are met in the design of the climate service, and that they are represented in institutional and governance arrangements. To ensure that climate services respond to evolving end-user needs, projects need to continually assess how well climate information services meet local needs throughout their lifespan. Participatory Action Research (PAR) and post-season reviews have proven to be effective methods for capturing farmer feedback on the quality and usefulness of services provided to them. Innovative tools to measure the value of climate services for farmers play a vital role for quality control of the climate information provided to farmer communities. 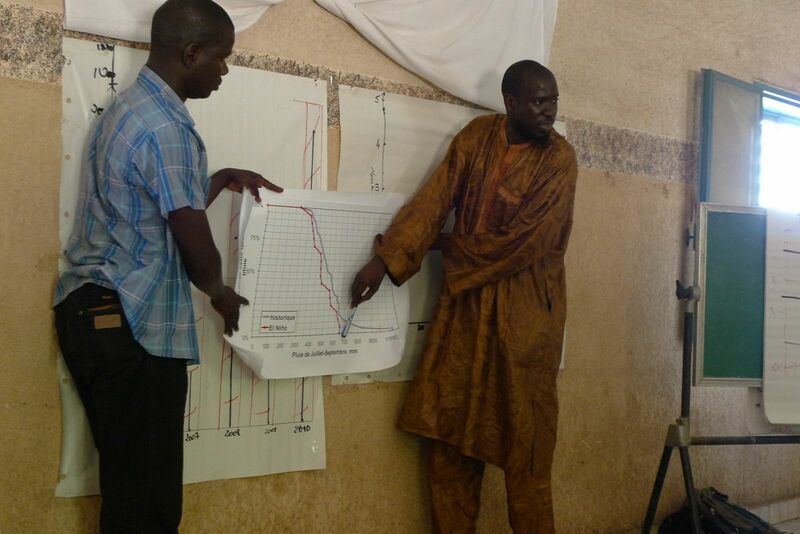 Climate scientist, Ousmane Ndiaye and an agricultural extension officer presenting a seasonal forecasting to farmers in Kaffrine, Senegal. Photo: James Hansen. Read the rest on the CCAFS blog.